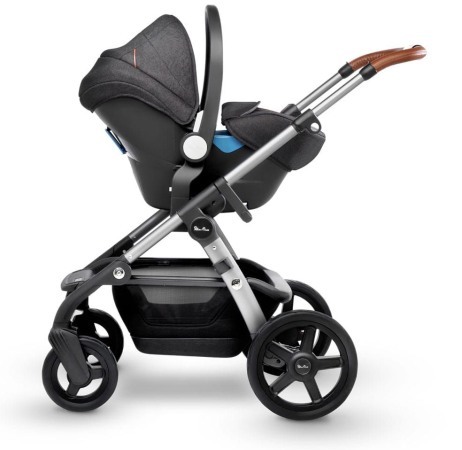 Having created the first ever baby carriage in 1877, the Silver Cross brand has lived up to the reputation as one of the best stroller makers in Europe. 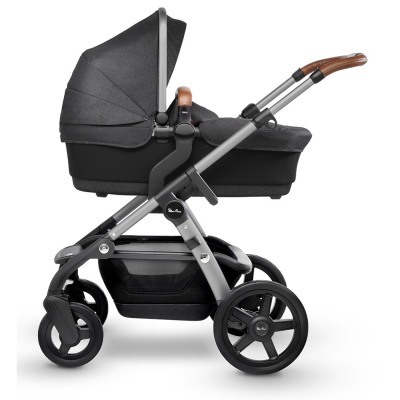 And with plans to enter into the US market, the brand has continued to deliver impressive models of the Silver Cross strollers. 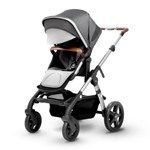 The Silver Cross Wave is the latest on the list – a stroller that offers multifunctional features in an unprecedented modern fashion, thus fitting into the evolving needs of today’s families. The reversible seat stroller, which is originally single, can be converted into a double stroller out-of-the-box. 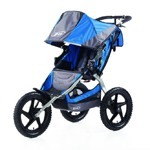 Now you have a multifaceted stroller that can carry your child, twins, or siblings of similar ages. 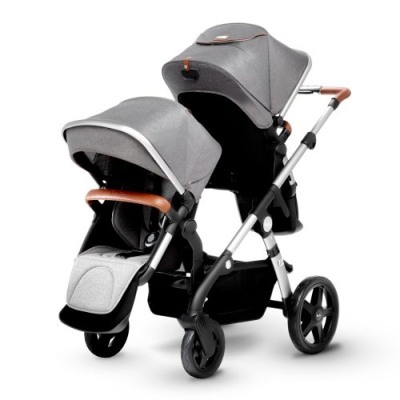 Similar to the great UPPAbaby Vista model, which is also convertible from single to double, the Wave is packed with impressive features and a bassinet. The Silver Cross Wave sports a large canopy plus a sunvisor, spacious seat with a one-hand recline, sizable basket, efficient brake, and flexible leg rest and handlebar among others. The built-in adapters that come with the Wave help you to set the main seat at high heights on the frame. This increases the proximity between you and your child, and ultimately the bonding. 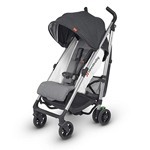 Convertible stroller 15.5″H x 24″W x 38″L Silver Cross Wave comes with great, luxury look. It’s the reversible seat stroller, which is originally single but can be easily converted into a double. The Wave offers a beautiful look and a luxurious feel, all thanks to the top-quality fabrics and materials it was made from. Compared with the Vista, the Wave model is a bit less practical and a bit complicated. 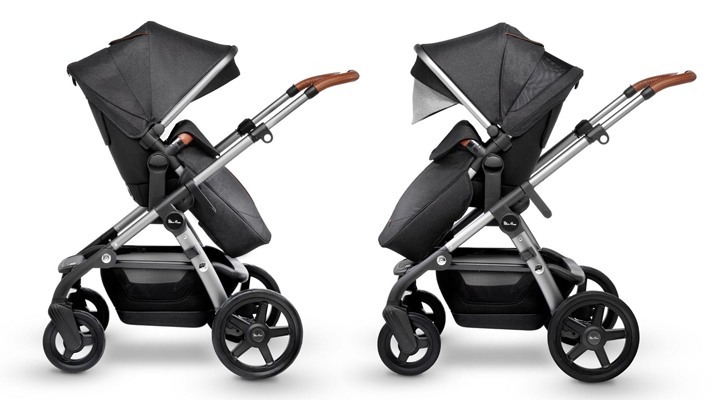 The elegance of the Wave is undisputed – not so many stroller models match its style. However, it is a bit on the weighty side. When in the single mode, and the seat fixed, it weighs 36 lbs, making it a super heavy stroller. Conversely, the Vista, with a weight of just 26 lbs is lighter and easier to load. The seat measures 22 inches from the bottom to the top of the canopy. It has a width of 13 inches, and 18 inches seat back, making it an average-sized seat. 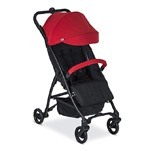 However, you will find similar dimensions in almost all of the reversible strollers in the market. Talking about the primary seat, there is a one-hand lever recline with three positions. The ‘v’ shape disappears when reclined. Thus, your child remains in the sitting position always. There is a button on both sides that can be used in reversing the seat. Simply push the button on either side, swig it around, and click it back in – you have just reversed the seat. There is also an adjustable 5-point harness with a pad and center release buckle. You can adjust the leg rest to suit your baby’s height. It comes with several positions, and the leg drop measures 9 inches. Interested in purchasing Silver Cross Wave? Check how much it costs and see if there are any discounts available. The canopy in the Wave comes with dual panels and double pop-out sunvisors. Thus, your child is guaranteed a proper coverage from the weather. Air is also blocked out, courtesy of the plastic peekaboo window that comes with magnetic closure. Feel free to open the hidden mesh window for improved air circulation. The 6-inches range telescoping handlebar allows you to raise the frame from 36 inches to 42 inches. 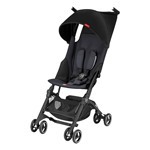 This makes the Wave ideal for shorter as well as taller parents, suiting the need for more leg room. The bumper bar and the handlebar are both covered with top-quality premium leather, giving you a smooth feel all day. 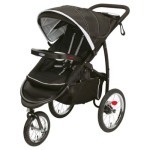 When you add a bassinet, a car seat, or a second seat, the Wave becomes a double stroller. The weight capacity of the secondary seat is 45 lbs, 10 lbs lesser than the main seat. 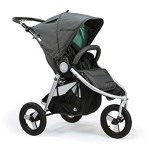 The stroller can conveniently hold two seats, two bassinets, or two car seats in up to 16 various combinations. Hence, it can comfortably carry siblings of similar ages or twins. Lastly, the seats are made of materials that can be removed and washed. Note that not all seat combinations are comfortable for your children. The frame in Wave is relatively short, and the space may be too small for your kids. Some positions reduce the seat space, such that the recline may not work. Thus, it is advisable that you find a position that works best for you and always use it. 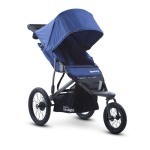 These come with the stroller out-of-the-box, and can easily convert your stroller into a double seat stroller. Apart from creating a spare seat, you can also use these adapters to raise the seat to higher positions on the frame. This ultimately brings your baby closer to you, fostering the parent-child bonding. 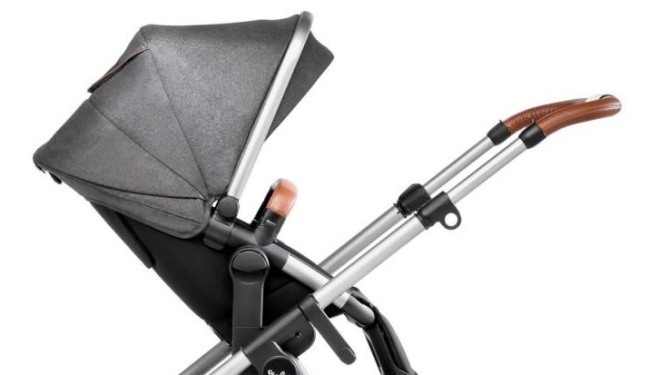 The same feature is found in Stokke Xplory and other strollers, where the seat is set on higher positions on the frame. 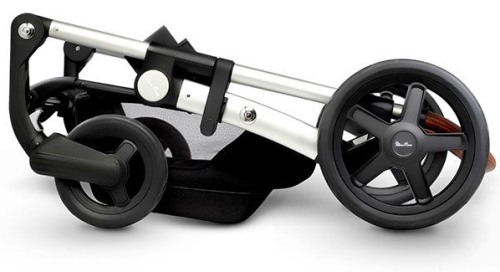 The swing-away bumper bar is removable, although it comes with the stroller out-of-the-box. The premium leather feel makes it soothing to hold, and the hand stitching and embossed logo highlight its beauty. Check how much it currently costs, maybe you can find an attractive discount. 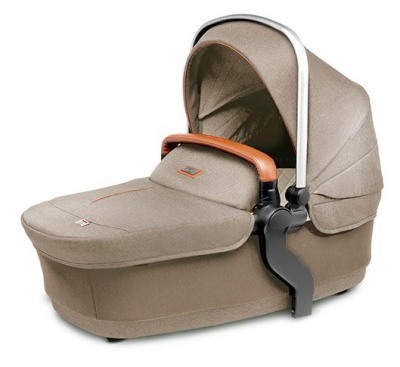 The bassinet is also included, and is suitable for babies and kids weighing not more than 20 lbs. With all the adapters present, you can use the bassinet alone or in a double mode alongside the primary seat. It comes handy during overnight sleeping, serving as an additional sleeping place during travels or at home. There are also in-built magnetic closures and warm apron. There is a sizable SPF 50+ sunshade, plus two pop-out sunvisors, guaranteeing your child adequate cover. The middle mesh section, alongside its magnetic closure, comes handy on hot summer days; simply open it to allow breeze into the bassinet. The base ventilation system of the bassinet is also excellent for controlling ventilation. Apart from keeping the temperature in check, the bamboo fabric lining is hypoallergenic and comes with natural anti-bacterial qualities. There is a rain cover, and a mosquito net included primarily for the bassinet. The bassinet is really great! Although the basket is not as big as Vista’s, it can conveniently hold up to 33 lbs with its hard base. You will hardly find baskets as powerful as this in other strollers – it will contain the largest diaper bag conveniently, alongside other baby materials. The depth is 8 inches, and the dimension is 19 inches x 17 inches. You can also keep the small materials in the small interior pocket. The Wave rolls on 11” and 7.5” at the back and front respectively. These tires are not only foam-filled but also capable of running smoothly on all terrains, and you can lock the front wheels straight. Your ride just got smoother and more fun with all bumps absorbed. The brake in the wave is not only efficient but also a one-step that can be applied easily even when on flip-flops. There are green and red indicators that help to lock the rear wheels in position. Although the fold is not single-handed, it is an easy thing to do. It is almost like what you have in the UPPAbaby Vista model, including the bulkiness. However, the compactness in Wave can be increased by detaching the rear wheels and the seat. When folded the dimension is 15.5″H x 24″W x 38″L. The standing fold is absent, but there is an automatic lock. Contrary to the claims on the Silver Cross website, the Wave weighs about 36 lbs when the basket, canopy, bar, and the bumper are included, not 33 lbs. 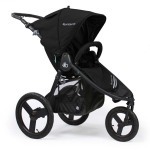 And with such weight, the Wave is undoubtedly one of the heaviest strollers around. 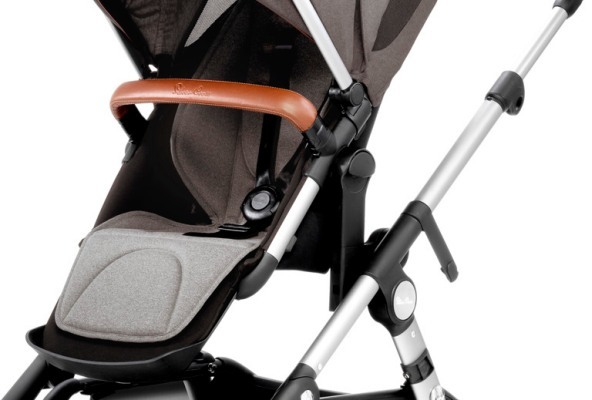 These also come with the stroller out-of-the-box and are compatible with popular car seats such as the Nuna Pipa, Aton Q, Aton 2, Cybex Aton, Mico Max 30, Maxi-Cosi Mico, and Mico 30 among others. Other notable inclusions include a rain cover, a cup holder, and a mosquito net. The stroller is compatible with a stroller board, which offers more room for an older child. However, you will have to buy one. 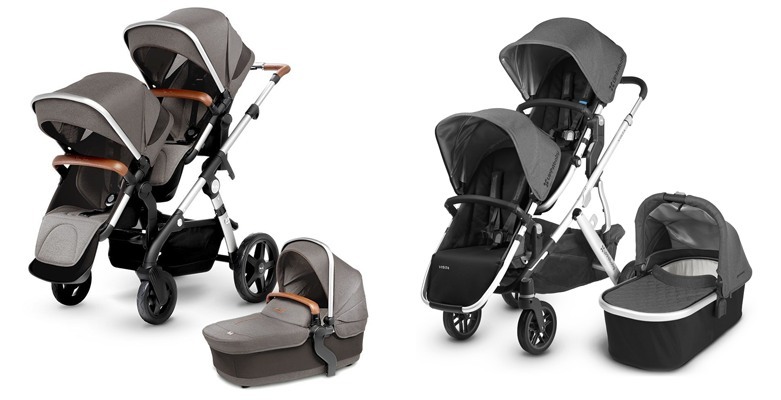 There are similarities between the UPPAbaby Vista and the Silver Cross Wave. There are also a couple of common features in both – large canopies plus sunvisors, spacious seats with one-hand reclines, sizable baskets, efficient and flip-flop- friendly brakes, and flexible leg rests and handlebars among others. Although the Vista doesn’t come with so many accessories, it weighs 26 lbs – 10 lbs lesser than the Wave. It is also cheaper and comes with a standing fold. However, you will need to buy extra adapters before you can use your Vista as a double stroller.